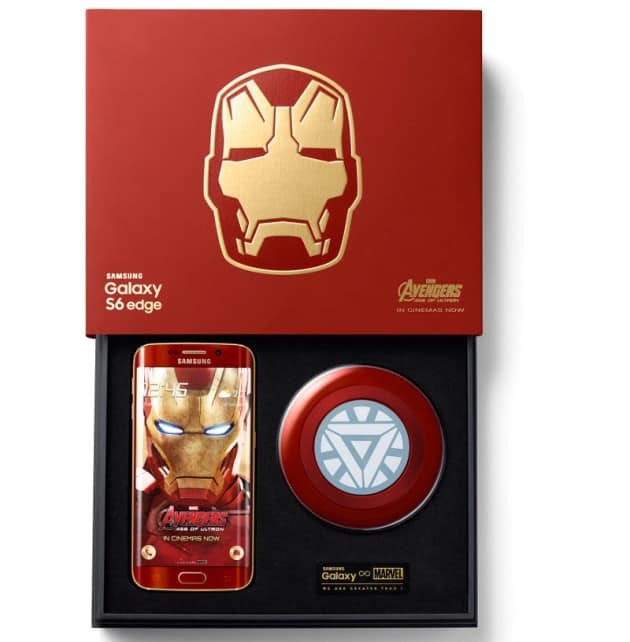 Avengers: Age of Ultron (2015) is still successfully running in the theatres and Samsung made use of this by launching the exclusive Samsung Galaxy S6 Edge Iron Man Limited Edition in collaboration with Marvel. This is a limited edition phone and it bears the same physical design as the normal Samsung Galaxy S6 edge, except, this one is fully coloured with Iron Man’s suit design. You can see the color combination of both red and gold in this phone variant. It’ll also have a custom Avengers theme pre-installed. It’s a limited edition so only 1000 units of these Iron Man themed smartphones will be available. Along with the phone you’ll also get a matching wireless charging pad and a clear cover. They are elegantly packed within a limited edition Avengers box. Their arc reactor-themed wireless charger is my favourite. Apart from the looks, other main features are identical to the regular S6 edge. Starting on May 27th, this limited edition will launch in Korea first through Samsung online store. Not sure about other countries, but China and Hong Kong will get it around June. It will be priced at $1092 (INR 69610).